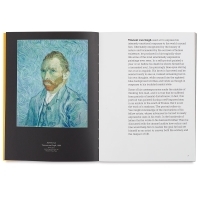 Vincent Van Gogh used art to express his intensely emotional response to the world around him. 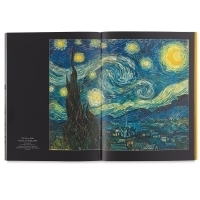 Enraptured by the beauty of nature and tormented by the sorrows of human existence, he produced in his tragically short life some of the most powerfully expressive paintings ever seen. Many have made the mistake of thinking him mad, and he did suffer throughout his life periods of mental anguish. But Van Gogh's paintings are not the works of a madman. Van Gogh famously sold only one painting during his life, but within a few years of his death he was recognized as one of the greatest modern painters. 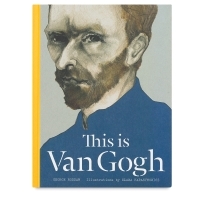 This is Van Gogh provides a clear, accessible introduction to this famous artist. 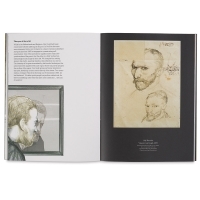 This richly illustrated volume incorporates original drawings and the artist's own works with authoritative text to engage and educate readers. Authors — Catherine Ingram and George Roddam. Hardcover. 80 pages. 9" × 7" (23 cm × 18cm).